Insurance is a tough marketplace, but in many respects rein­surance is much tougher in its unprecedented number of challenges – be they natural disasters, regulatory issues, a continuing global soft market, and legacy issues such as exposure to mold and asbestos claims. To combat these challenges, reinsurers are turning to technology for catastrophe modeling, data analytics and geospatial information systems (GIS) to better understand the data and their risk exposure. 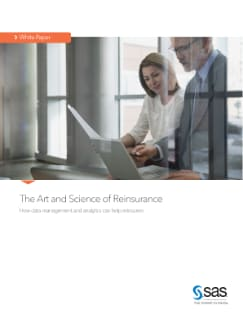 This white paper explains how reinsurers can gain a competitive advantage by using data management and analytics.